Pineapples from Manipur are well known for its distinctive taste and flavor. Like any other cash crops, pineapple has also found a place in the soils of Manipur and the state is also becoming the safe breeding ground for it. It can be said that pineapple production in the state has outdone any other fruits production. Economically, the pineapple has become the backbone of a sizeable section of farmers who have been cultivating it as their major source of income. It has, interestingly, helped in keeping the ceaseless burning of many kitchens of the state. 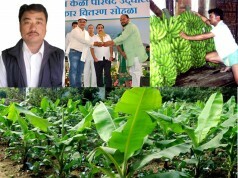 Small farmers like Takhellambam Lukhoi Singh, 50 years of Chanam Sandrok village have tapped the potential of such agro-farming successfully by converting pineapple farming into a thriving business. 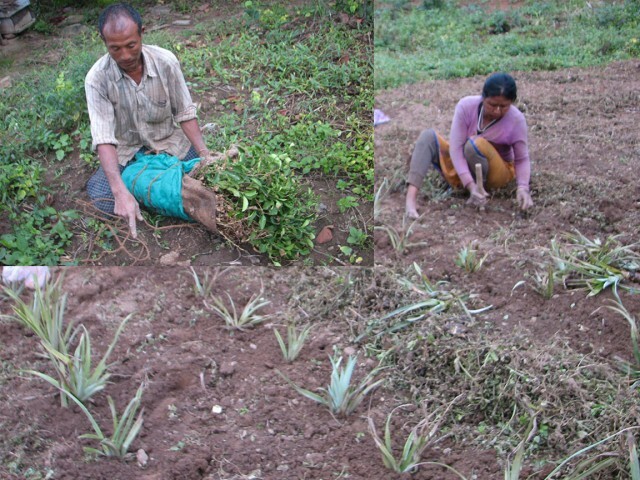 For him, pineapple cultivation in his three acre land on the slopes of Chanam Sandrok hill range in Imphal east district is his main occupation since the last twenty years. No doubt, farmer Lukhoi earns Rs. 70,000 to 100,000 every season from his pineapple cultivation. Takhellambam Lukhoi Singh, son of Late Takhellambam Tolen hailing from Chanam Sandrok village is the eldest son among seven siblings of five sons and two daughters. He passed matriculation from Deva High School, Kakwa. However, he studied from class I to class VIII at Thiyam High School. He is now a father of two sons. Born in a penury driven family, Lukhoi who could not continue his studies after class VIII was compelled to take up farming to help his family at his tender age. Being the eldest son in the family, he had to help his parents in maintaining the family and sending his younger brothers and sisters to schools. In fact, pineapple farming has now has brought many changes to my family as I can now support my family without much trouble with the income from it. This year, I am expecting a profit of not less than Rs.100,000. About 5000 pineapple saplings were planted in my ‘Pamlou’ (hill farmland) of three acres last year. Of the 5000 pineapple saplings, around 4000 plants bore pineapple fruits while the remaining plants dried to death. I used to earn a profit of about Rs 50,000 to Rs70,0000 annually from pineapple cultivation, this time I expect good productivity, he said. Earlier, Lukhoi took up Banana farming. He, however, left the farming as it could not give him sufficient income to him and shifted to pineapple farming. With the pineapple farm giving good products during July to August season, he can fetch a good income during Kang festival. 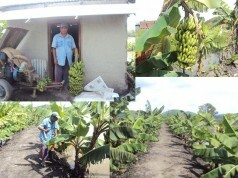 He harvests pineapple twice a year – during July-August season and December-January season. Pineapple harvested during December-January is known as ‘Heiron’. Presently he sells the pineapple at Rs 5 to 10 per fruit at whole sale. 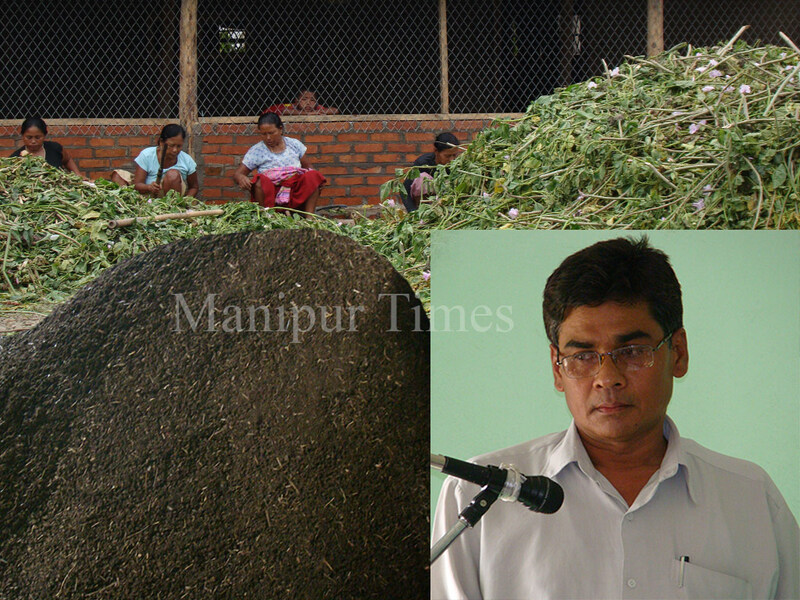 The harvested pineapples are brought to Imphal and supplied to the retailers at a whole sale rate. 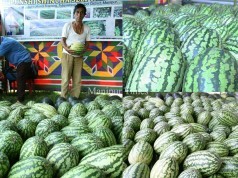 Local woman vendors also come to his farm to collect the fruit, he said. Toiling hard in all weather, the farmer is struggling to enhance production throughout the year without much assistance from the state government. A pineapple farmer has to invest a big amount in engagement of labourers, ploughing and weeding. 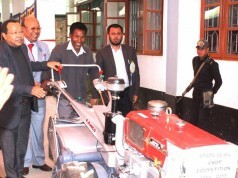 “I heard that the Government is providing financial assistance to farmers. But I have never received any such assistance. When I approached the concerned government, they were not willing to provide me any such help. In Manipur those powerful people who can lobby and have nexus with the officials are enjoying the benefits of the government. Poor farmers like us who cannot lobby the officials are compelled to struggle with the mere resources they have. If Government provides me some financial assistance in the form of loan or grant, it will be so helpful to pineapple farmers in boosting up pineapple production as well as the living status of the poor farmers’, he maintained. Some powerful pseudo-entrepreneurs in the state are enjoying the benefits provided by the government thereby wasting the huge public money. It has shocked the genuine entrepreneurs. Entrepreneurship movement cannot be strengthened if such malpractices done while providing government assistance continue. Government needs to identify the genuine farmers before providing financial assistance and book the irresponsible officials, he said. Lukhoi’s farming is not limited to pineapple only. He is also an expert beekeeper and successfully producing honey in large quantity under the brand TLB farm. He initiated the beekeeping job since 1986 as a hobby with only two three boxes which is now converted to a brisk business. 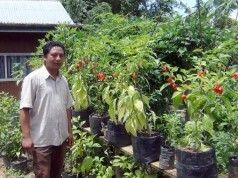 This gives an additional income for his family. A bee box can produce at least three bottles (375 ml) of honey. One chamber can produce one honey bottle. Harvesting honey is done twice a year i.e. during the season of September to October known as Langban Khoihi and February to May. February to May is the best season during which best quality and more products of honey can be harvested. During this season, honey is harvested every week. 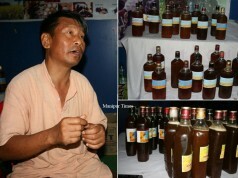 He sells one honey bottle at Rs200. Growing of flowers aplenty is the most favourable condition for bee farmers to get more honey, said the farmer. “Besides pineapple, bee keeping has also been another thriving business for me now as it helps fetch good income during the honey harvesting season. I am thankful to the Horticulture Department, Government of Manipur for giving me 32 bee boxes free of cost. Then he could increase his honey production, said he. 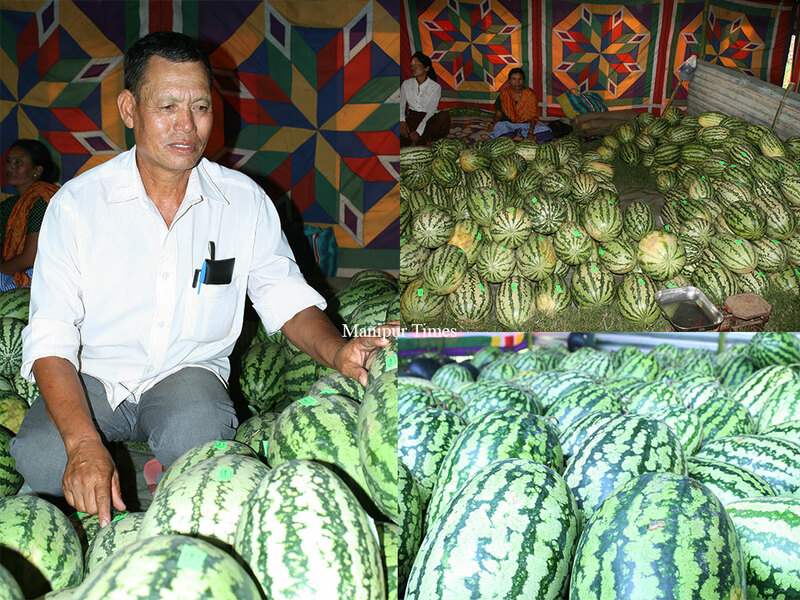 If one visits TLB Farm located at the Chanam Sandrok hill, he would see other varieties of vegetables like banana, soybean, papaya, and other vegetable items which Lukhoi is cultivating as a new venture. Lukhoi’wife and his two sons are the main support behind the success farmer. They extend their best support to him in all the works of the farm. Khwaidagi chaothokchaningai oiba sinfamni eina pamjaba..